A sour beer by definition but this beer captures the essence of Summer with every sip, a must try for all Beer Aficionados. The Good: Words cannot describe how excited I was to try this beer, I love those beers that dare to be different and truth be told I am a massive guava fan, so needless to say this was checking all of the right boxes straight off the bat. 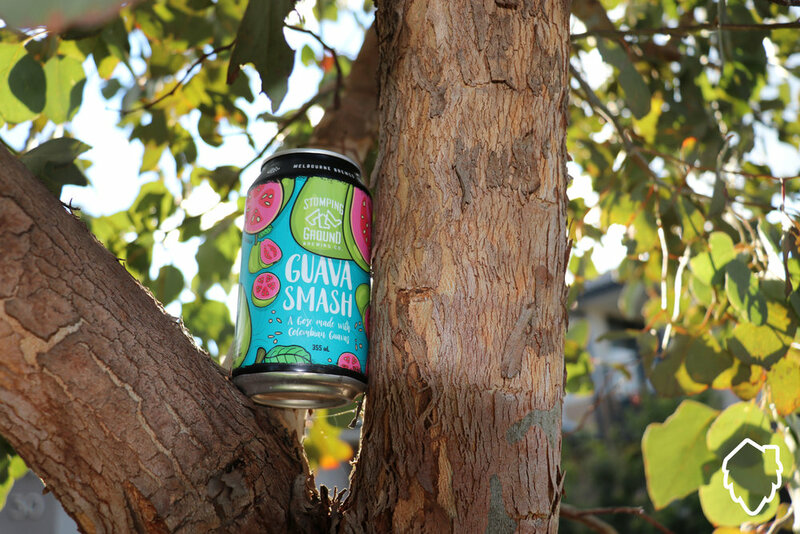 When I cracked that can open I was immediately greeted with the oh so familiar scent of guava that I have mixed with many a rum coconut cocktail (of my own design of course), in fact it is so overpowering it smells more like a fruit juice than a beer. Curiously I decided to pour this one into a glass and the colour is amazingly pale, looking more like a cider than an actual beer (in fact I had to double check this was actually a beer... It is)., but maintains the appearance of a cider being slightly cloudy in its pour. To the taste... Well if I am being completely honest it is an acquired taste, it has a very crisp sharp taste that you usually come to associate with almost a white wine and very unexpected when you first try it, especially if you are looking for the traditional bitterness you come to expect from beer. The Bad: Like I mentioned this is an acquired taste, if your palette is not appreciative of trying sour type beers than this won't be the beer for you. The sourness is most definitely met with a hint of saltiness (as it states on the can, but you can most definitely sense it after each sip). Enjoyment: I am not actually a very big fan of sour beers or the Gose style beer that has started to become more popular in recent times, however I gotta say that the flavour and the sourness in this beer is actually quite appealing. Admittedly it did shock my tastebuds on the first sip, however as I progressed throughout the can I came to enjoy it. The crispness reminded me of my younger years attending debs with friends and drinking the white wine that was set out on the tables, however the saltiness brought memories of the beach, sitting around with friends laughing and talking a lot of smack about nothing. Is it the beer to brighten up the winter months? I'm going to have to say most definitely. I am excited to see what Stomping Ground Brewing Co. release in the coming seasons as they are definitely on my radar now!